Hot on the heels of the SMOK TFV8 Cloud Beast comes the TFV8 Baby Beast, a tank with some revolutionary new cloud chucking technology in a svelte little package that sits comfortably atop the smallest vape pens. You’ve come to the right place for your SMOK TFV8 Baby Beast coils; every coil from Vapors Planet is guaranteed authentic, and we ship all retail orders for free regardless of the order size. Clouds for days and rich flavor along with maximum portability; those are the hallmarks of the SMOK TFV8 Baby Beast. Hot on the heels of the SMOK TFV8 Cloud Beast comes the TFV8 Baby Beast, a tank with some revolutionary new cloud chucking technology in a svelte little package that sits comfortably atop the smallest vape pens. You’ve come to the right place for your SMOK TFV8 Baby Beast coils; every coil from Vapors Planet is guaranteed authentic, and we ship all retail orders for free regardless of the order size. Clouds for days and rich flavor along with maximum portability; those are the hallmarks of the SMOK TFV8 Baby Beast. Compatibility Note: Do you own the SMOK TFV8 Big Baby? These coils will work in your tank. 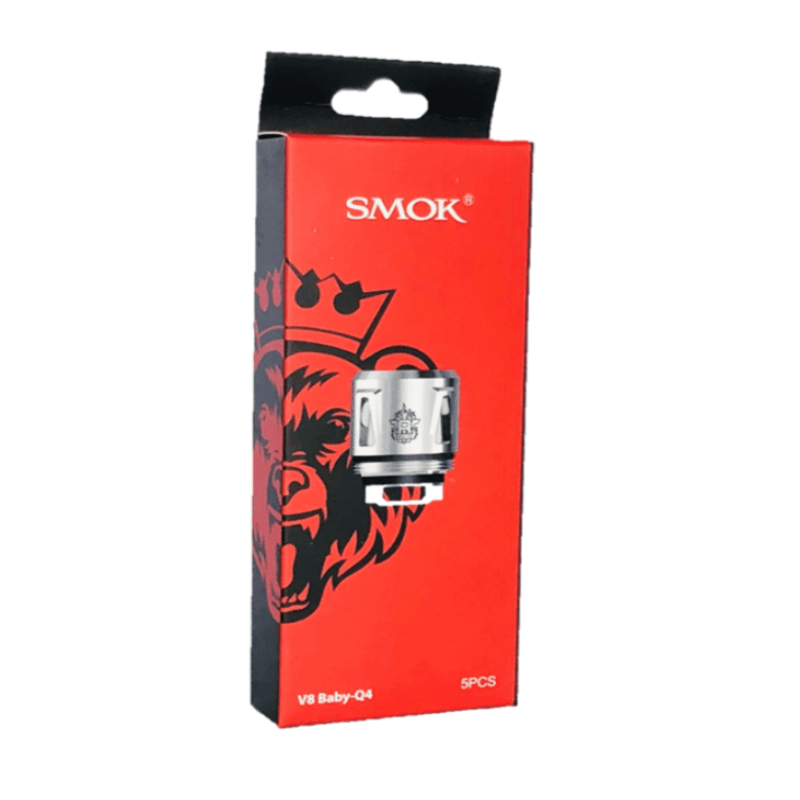 If you have the TFV8 X-Baby, click now to browse our SMOK TFV8 X-Baby coils. TFV8 Baby Beast coils and TFV8 X-Baby coils aren’t compatible.